When it comes to investing in gold or silver, many individuals question the difference between coin collecting and investing in coins. While they may seem similar at first glance, there are differences you should consider when looking at which is best for you. In the early days of North America, when European colonists came and settled, they traded with the Native Americans already present there. Commodities such as fur and lumber were traded using barter – when goods are exchanged for other goods. Over time, goods such as wampum (strings of beads made with mussel shells, beaver skins, and tobacco) became the most common goods used for barter, essentially turning wampum into a form of money. Later on when more useful goods began coming in from Europe, coins were the demanded form of payment. The colonists first used the existing European coins, until they won independence. The United States government was formed, and in 1792, the United States Mint was established and began striking U.S. coins. They were required to be made up of certain amounts of gold, silver, or copper. Individuals began collecting coins as a hobby in about the mid-1800s. They collected based on coin designs, metal type, denominations, date of issue, mintmarks, and eventually condition. As the hobby became more popular, face values for coins went up exponentially, to the point where a silver dollar coin sold for $10 million in 2013. Coins began to be valued for their rarity and condition. Collector coins are valued for their rarity and condition, not for their metal content. On the other hand, bullion coins are valued simply for their metal content. Bullion coins struck by the U.S. Mint are all required to weigh a specific amount and contain a certain fineness percentage of pure gold or silver. They are mass-produced, and therefore are not collected as rare coins. Should I Collect or Invest? It depends on what you value coins for. Collectors value coins for their design, rarity, age, or condition and are willing to pay higher premiums for them based on those characteristics. They also enjoy it as a hobby and possess the time needed to dedicate to it. Bullion coins are valued for their metal content and their value is based on that. Of course, it is also possible to do both. 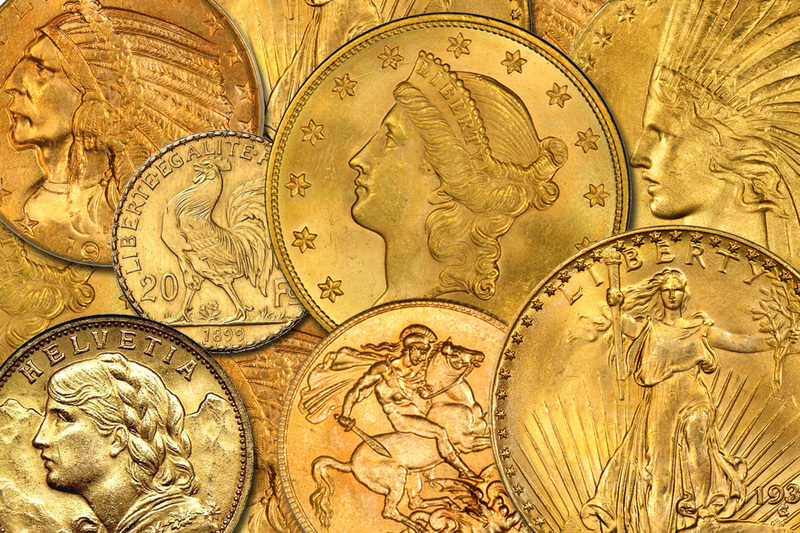 American Bullion is a nationally-listed dealer under the U.S. Mint and has helped thousands of individuals add precious metals such as bullion or certain IRS-approved coins to their individual retirement accounts. To learn more about your options, request a Free Gold Guide or speak with precious metals specialist by calling 1-800-326-9598.